Video: Drool-worthy Audi R8 V10 featurette by "The Famous Group"
After watching this video, plenty of adjectives came to mind; awesome, breathtaking and magnificent are just a few. However, we thought "drool-worthy" would most adequately convey our feelings. 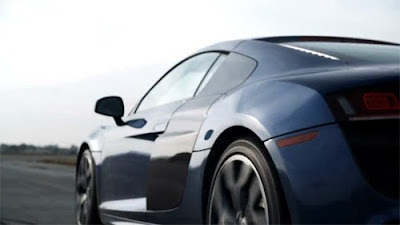 This short film, starring the Audi R8 V10, was created by "The Famous Group" and directed by Greg Harvey. In order to capture the fantastic drifts and dramatic camera angles, the video was shot using an equally enviable Audi RS6 "Crane Car" camera vehicle.